A dying custom of the Padaung people, some of whom found refuge in northern Thailand from war in Burma (now Myanmar), dictates that young girls are fitted with brass neck rings to ward off evil spirits. Over the years the weight of added rings crushes collarbones and ribs. 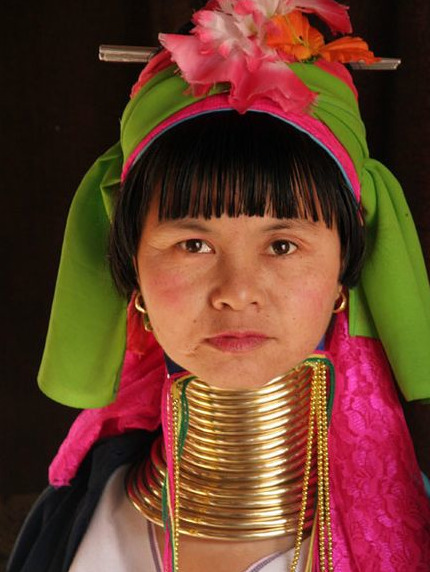 Now tourist dollars impel long-necked women in Thailand to again collar their daughters.